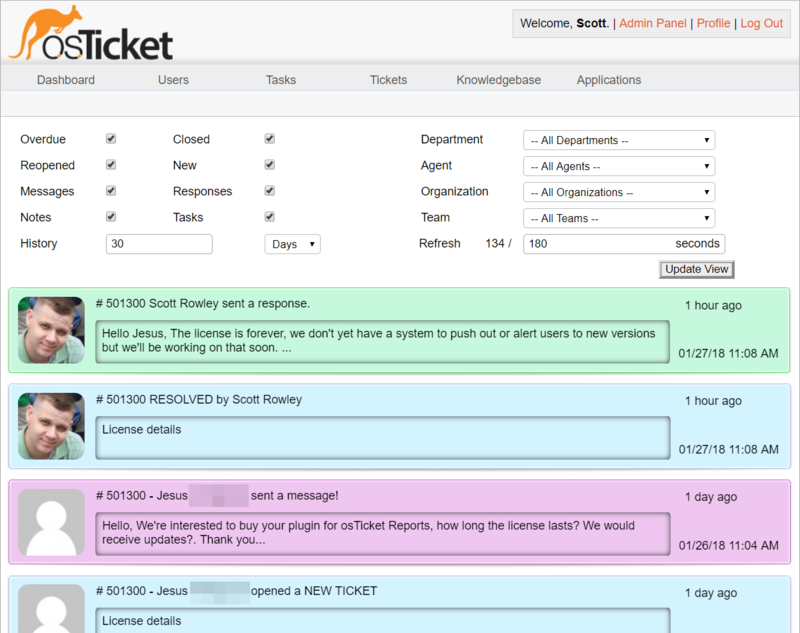 The Activity Stream plugin for osTicket allows you to easily monitor ticket activity. Multiple filters allow for tracking only what you are interested in. Front of each activity shows basic information. Hover over each activity to flip the card for even more information! Easily navigate to the corresponding ticket. 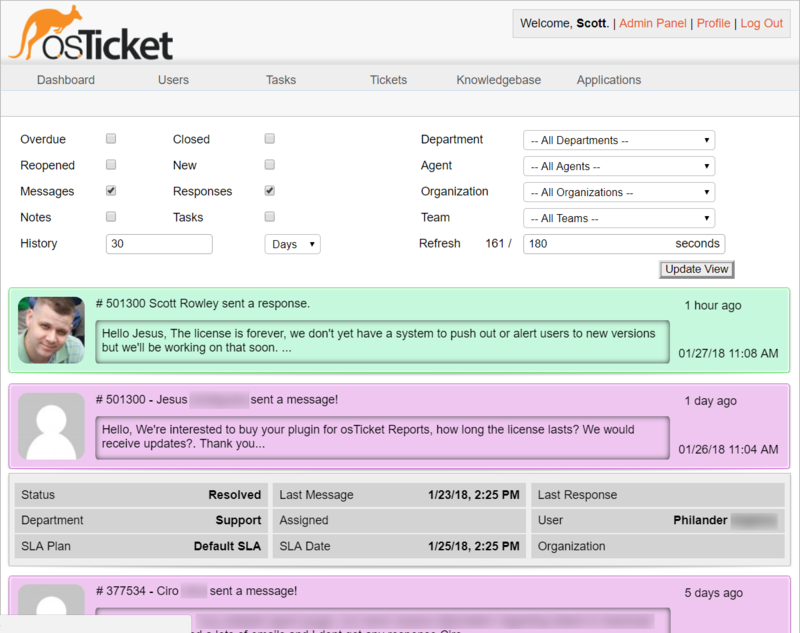 Watch for new tickets, ticket closures, messages, notes and more accurate to within seconds. Hover over any event to flip the card and get even more information. 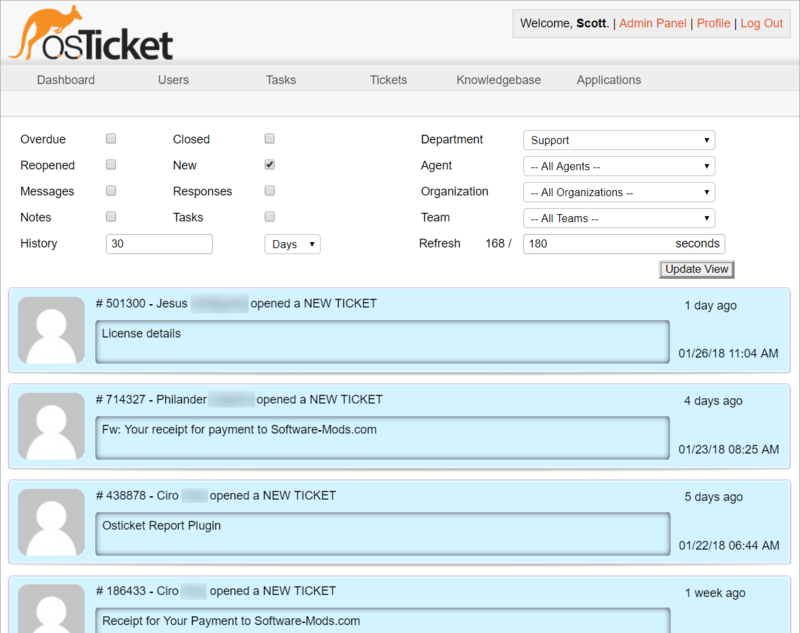 Easily track a single department for new tickets! New Easily select what you would like to track with multiple filters. 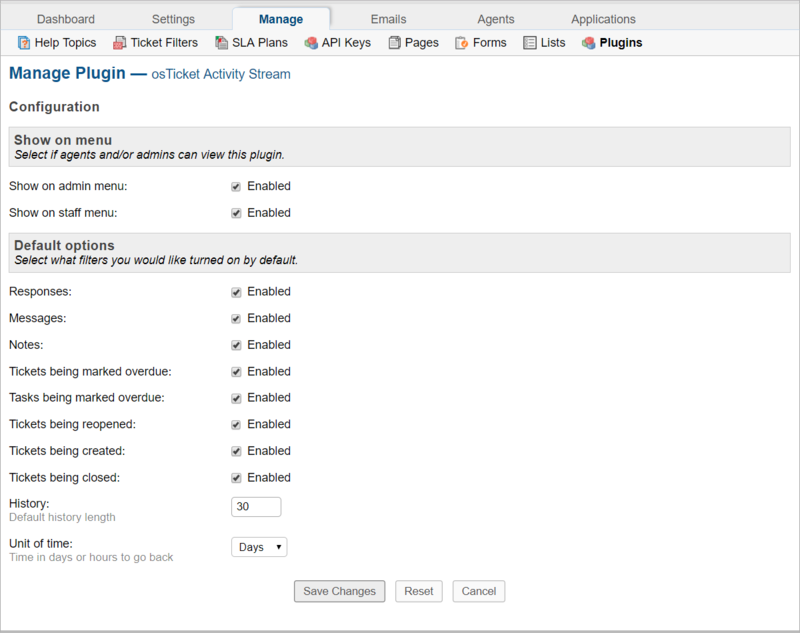 New Page automatically refreshes at an interval you specify. New Filter by Department, Agent, Organization or Team. New Further details included on the flip, just hover over any entry! New Flip and click any entry to quickly be taken to the related ticket.